familiar at all. Say, for example, you are traveling to new place for the first time and when you get there suddenly it seems as if you have been in that very spot before, felt like you know the place better. It's so strange isn't? In the déjà vu experience, however, we feel strange because we don't think we should feel familiar with the present perception. That sense of inappropriateness is not present. The psychologist Edward B. Titchener in his book A Textbook of Psychology, explained déjà vu as caused by a person having a brief glimpse of an object or situation, before the brain has completed "constructing" a full conscious perception of the experience. Such a "partial perception" then results in a false sense of familiarity. 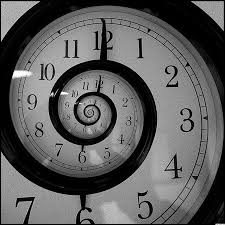 Scientific approaches reject the explanation of déjà vu as "precognition" or "prophecy ", but rather explain it as an anomaly of memory, which creates a distinct impression that an experience is "being recalled". As much as 70 percent of the total population of the world reports having experienced some or the other kind of Deja vu experience. This is commonly found in people in the age group of 16 to 25 years. Several psychiatrists have been conducting researches on this topic, and many have found various reasons for the occurrence of these experience. Some attribute it to temporal lobe, while some say it is just an illusion. Many have also reported Deja vu to be an experience of past life. Since déjà vu occurs in individuals with and without a medical condition, there is much speculation as to how and why this phenomenon happens. Several psychoanalysts attribute déjà vu to simple fantasy or wish fulfillment, while some psychiatrists ascribe it to a mismatching in the brain that causes the brain to mistake the present for the past. Many parapsychologists believe it is related to a past-life experience. Obviously, there is more investigation to be done.